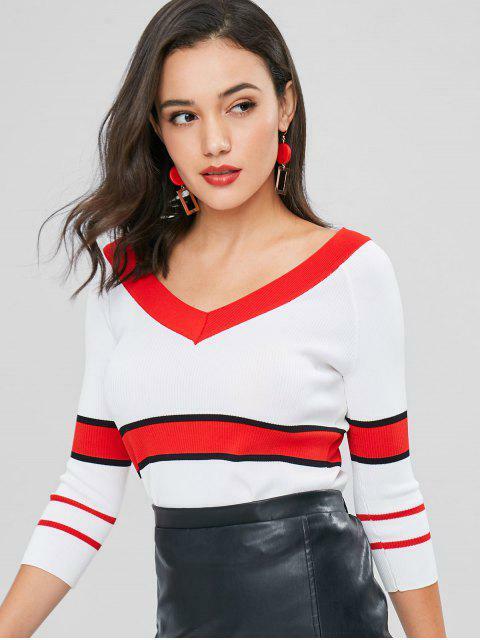 [47% OFF] 2019 V Neck Striped Ribbed Sweater In WHITE | ZAFUL .. 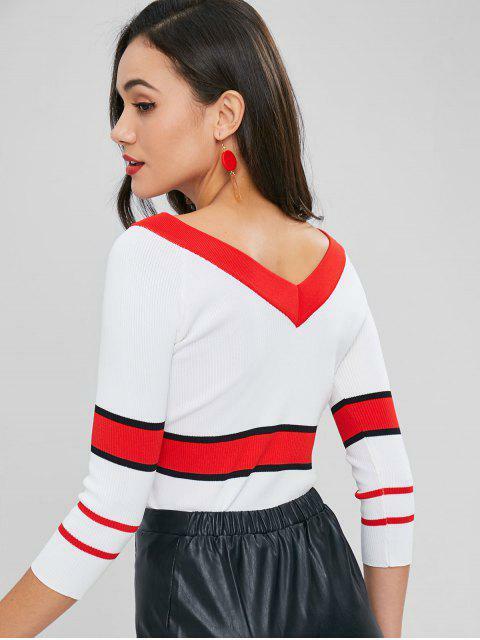 In a formfitting silhouette, this pullover sweater features a ribbed construction, double v-collarlines which are defined by a contrasting color, three-quarter sleeves, and multi-striped pattern in a tricolor colorway. Wear it in place of your T-shirts with your favorite jeans when the weather chills.